The Russian president has accepted the resignation of the head of the volatile republic of Dagestan, Magomedsalam Magomedov, and appointed MP Ramazan Abdulatipov acting head of the region. 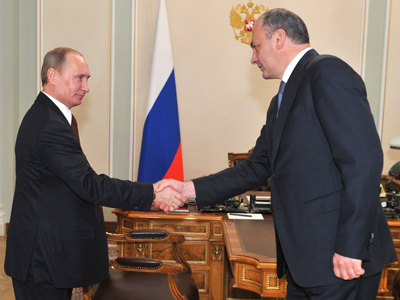 The news was preceded by media reports that Abdulatipov’s appointment was predetermined. This came after Magomedov, whose term was due to expire only in 2015, was summoned to Moscow for consultations with federal authorities. The Kremlin initially denied Abdulatipov’s appointment, but in a manner that still left room to maneuver. After his dismissal, Magomedov was appointed deputy head of the presidential administration, which is not a demotion, but still the move indicates that the Russian federal authorities are seriously concerned by the situation in Dagestan. On Monday Vladimir Putin’s press secretary Dmitry Peskov said that Magomedov’s new official responsibilities will be determined in the nearest future. Earlier, Russian mass media reported that Magomedov’s popularity rating in Dagestan was relatively low and most of the economic projects that could revive the region have reportedly failed. Among these are the building of a new airport, a glass factory and a beach resort on the Caspian Sea. A weak economy and lack of life opportunities can push the numerous and relatively young population of the predominantly Muslim region towards crime and even terrorism. 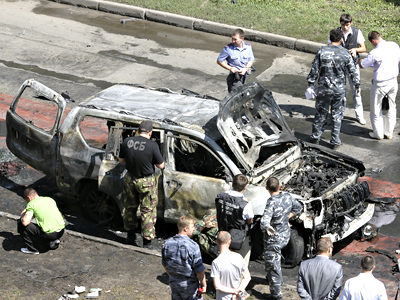 The most serious recent attacks took place in August, when a suicide bomber killed the head of the Dagestan Muslim community Sheikh Said Afandi and in mid-January when unidentified gunmen killed the chief judge of the republic.According to some media, the latter incident became the last straw that caused Moscow to urge immediate action. Some Russian editions also pointed at the disagreements between the Kremlin and Magomedov over the possibility of return to direct gubernatorial elections – the federal authorities were cautious about re-introducing direct polls in the volatile region, while the head of the republic insisted that direct elections were as real in Dagestan as in every part of the Russian Federation. 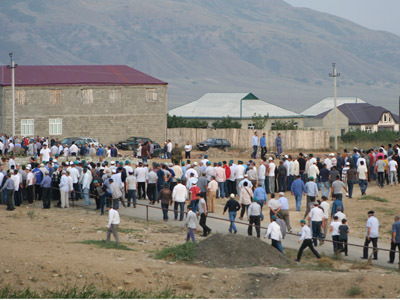 Ramazan Abdulatipov said in an earlier interview with Dagestani website Caucasus Politics that his appointment was decided as the stabilization of the situation in the region was the primary interest of the federal authorities and he was an established politician with personal connections to all influential personalities. Abdulatipov also reminded journalists that he had been elected as a State Duma deputy from Dagestan for four terms. Abdulatipov is a veteran Russian politician who began work in the Soviet parliament and made it to the post of the upper chamber of the Soviet Union. After the USSR’s collapse he continued to represent his region in the parliament of the Russian Federation. After the latest parliamentary poll Abdulatipov worked as deputy head of the lower house’s committee on local self-government. Abdulatipov is also the main backer of the bill aimed at introducing criminal responsibility for regional authorities for provoking ethnic hatred.